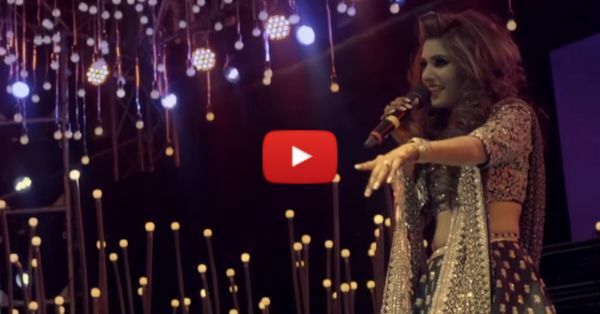 #Aww: This Singing Bride Will Make Your Heart Skip A Beat! A wedding isn't just about a ceremony, it's so much more than that. It's about making a memory that is never going to be forgotten, a date that'll forever be etched in your mind and a feeling that just isn't possible to put into words. Or, at least, that's what we thought. Here's a bride performing an original song for her own wedding - an effort to convey all the emotions that come with finding and accepting the person you want to spend the rest of your life with. Here is Iltija, an original song by The Wedding Filmer. It's going to touch your heart and make it skip a beat - yes, we believe it's that amazing! Give it a watch, you'll definitely agree with us! PLUS: Subscribe to POPxo on YouTube for original videos + our favourite videos from around the web! MUST-READ: #Aww: Durjoy Datta Planned A Dream Proposal – And She Said YES! MUST-READ: #Aww: He Found The PERFECT Song To Propose To Her!